Home » Criminal Justice » A New Year’s Resolution: Exercise Your Constitutional Rights! You may have never been in a position where you needed to flex your constitutional rights. In fact, many reading this might say: if I am doing nothing wrong, why should I assert my rights? Won’t this make things harder for me? I can answer that for you real quick – you MUST assert your rights, as an American, many men and women have fought, bled, and died for those rights. You MUST because that IS how you live up to your role as a US Citizen. 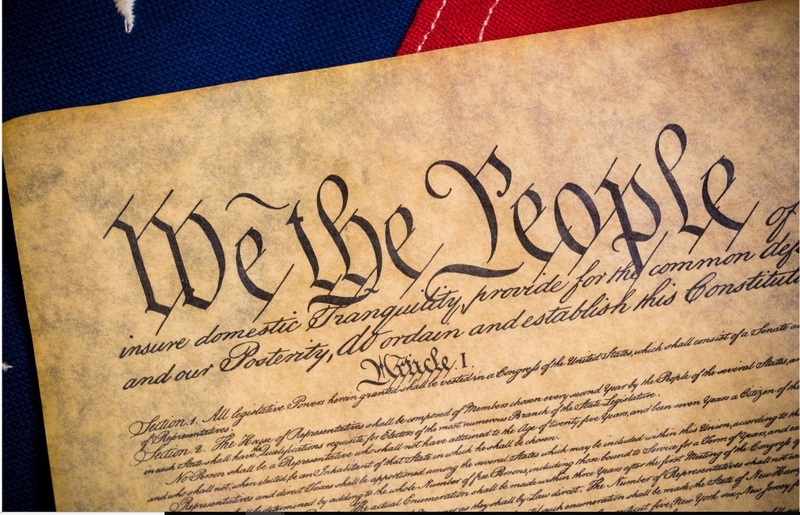 Do you realize that when people become lawyers, law enforcement, become new US citizens, or assume many government positions – they swear an oath to “support and defend the constitution of the United States…”? When YOU flex your rights, regardless of whether you are not engaged in nefarious behavior…is vital to maintaining those rights in a free society. NOTE: Asserting your rights DOES NOT MEAN being rude, aggressive, or combative with any agent of the State (Police officer, Sheriff, Constable, District Attorney, etc, etc.). Be assertive, but be polite and respectful. Almost every law enforcement official you encounter is doing their job to the best of their ability, and doing it for the right reasons. Treating agents of the State with respect and cordiality goes a long way, even if you are refusing to give consent or forfeit other important rights. Additionally, as with anyone else you encounter, law enforcement will notice how you treat them, and MOST will respond by treating you with dignity and respect as well. Some of you are on board, but may not know exactly what I mean by asserting your constitutional rights. So, the following are some ways in which you can stand tall and speak truth to power! This is a little easier said than done, and will require you to assert your rights in an often precarious position at the side of the road, or with Officers pushing their way inside your residence. Why is this so important? Because knowing and voluntary consent to a search of your person or property is an exception to the warrant requirement, and oftentimes will foreclose any legal arguments in Court about the validity of the search! This one is hard. You will be in a coercive situation: there is a police officer focused on you, demanding that you waive your rights and answer his questions. Maybe he has lied to you and told you that if you agree to talk to him, they will cut you a break, or pass along a good word to the District Attorney. This deception will not get the officer in any trouble, of course, the Supreme Court has decided that law enforcement is permitted to lie to you in order to obtain a confession. Especially if charges have not been filed yet – if you are contacted by law enforcement in any sort of criminal investigation where you may be suspected of a crime, DO NOT speak with the police or answer any questions. Politely, bu assertively, inform the officer you will not be answering any questions without the presence of your attorney. If you find yourself facing any criminal charges, or subject to questioning by law enforcement in ANY capacity, demand your 6th Amendment Right to consult with an attorney. Something like this will work: “I am asserting my right to consult with an attorney. At the earliest opportunity, I request use of a telephone to contact my attorney.” Repeat as needed (and you will likely have to repeat this to several officers, especially in tense situations.”).